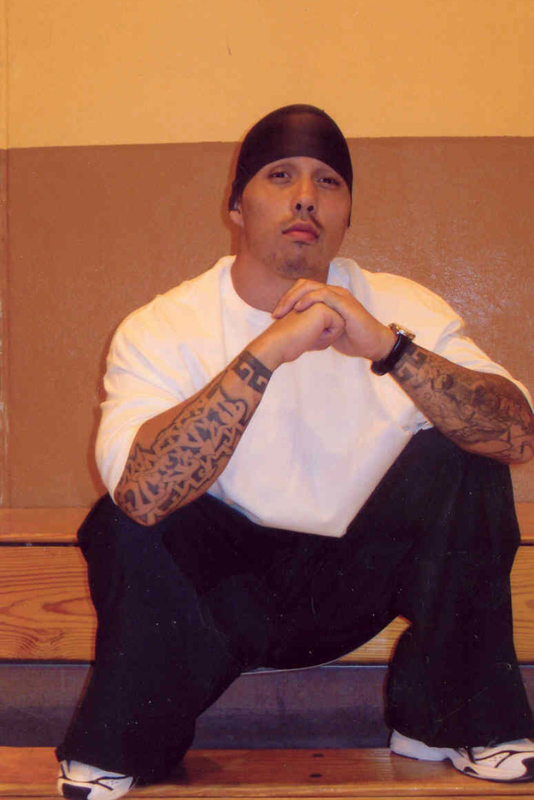 Free Michael Armendariz! – What’s in a Name? Obviously “Free Spook” isn’t a plea for mercy; my government name would work so much better for that. It isn’t a show of disrespect either though some people may take it that way. It is a call for justice. The technical requirements for what’s called a fair trial don’t always have much to do with fairness and many trials are devoid of justice altogether. There are some for whom standards of due process get twisted which is an uncomfortable truth to many people. Some deny that the system can fail or that it is based on inequality. Others view inequality as a necessary evil which holds the system together. I suspect The FreeSpook Movement is about more than me walking out of prison. Whatever may happen, this is about bringing out the truth which cuts the other way. My liberty is important, but I can do time. I would like to do many basic human things which my situation either corrupts or stops but I try not to confuse creature comforts with freedom. It‘s my choice to fight for my freedom by addressing some real questions. I know the story which was told in court and then spoon fed to the media. With video and physical evidence I can entirely disprove that lie, but that’s beside the point. The question should be: Why did off duty law enforcement target/attack Nestor Chavez and me in the first place? There was no justification for the initial attack but why strangle an incapacitated person? Without law enforcement testimony there was little evidence which supported anything but justifiable self defense, why would the investigation disregard or destroy all physical evidence which didn’t accommodate the stories of officers who admitted to being drunk at the time, lying, and starting fights? What kind of people does law enforcement give authority to? I can show and prove how the courts have played dirty with my case at every proceeding. In a case where police brutality was shown, how can so many “errors” occur without raising an eyebrow? Of all the viewpoints available, which ones were heard in the newspapers and local news? What has been the role of reporting and journalism throughout my case? And are the issues in my case reflected elsewhere in this country? The district attorney in my case tried to shame me with my own placaso (nickname). He presented “Spook” to my jury as if that name was direct proof of my guilt. Even though I grew up rough and made mistakes, I wasn’t a bad person when I was a free man; good father, college kid, rapper, and yeah, a good homie too. I can’t prove half of that stuff on the record but even today plenty of character witnesses would speak for me. All that’s besides the point. My right to defend another’s life (and my own) should have almost nothing to do with how well I can act innocent. I’m not acting innocent to somehow prove I deserved a fair trial. On the night of the incident I wore a shirt which was identified by several witnesses as a “wife beater”*. All those incidentals became more important to my conviction than the fact that my friend and I were attacked for no good reason. Like I said, I can handle doing time. It isn’t great but I’m used to this way of life. That being said, I will never accept this life as my own. My very being rejects prison. I have no qualms with personal accountability but there is a very real oppression that poor people (especially minorities) encounter on a regular basis (often from minority officers). That oppression includes being unfairly targeted and harassed, police brutality, bias within the courts, a continuation of that bias within prison, and the news media’s role in the exploitation of society’s fear and prejudice to protect the status quo. In my case a combination of all these things resulted in an inappropriate murder conviction for what was a case of self defense. My conviction was intended to send a message. The message is that police have no rules and if they get drunk and want to kill your homie (for whatever reason), you better let them. When I’m tempted to relax and do my time that message keeps me going. Society is married to the idea of crime and punishment. Perhaps that’s why police go so easy on their own and the public justifies our abusers when they have authority on their side. We rush to figure out what we did wrong. I’m not making light of domestic violence whatsoever, but it’s a close parallel. Whatever the case, this situation wasn’t my fault, I didn’t cause it, and I won’t be bullied into believing otherwise. It’s terrible that somebody died but it would’ve been worse if it had been Nestor because he wasn’t trying to kill anyone. I wasn’t the bad guy and I’m tired of being pushed into that role. I’m sick of labels and the hate and official misconduct they inspire which is why Free Spook. Also Spook is the name I rap with. *For the record, I’ve never had a domestic violence charge in my life. I don’t get down like that. Couldnt have said it better My Homie Spook. Everyone deserves to be treated equal,who is anyone to judge anyone but the good Lord above. As for the law enforcement they need to really be the people that there badges represent. And you deserve your fair trail. You’re such an admirable man that’s why I love you. You got a heart of gold. It takes courage to do what you are doing, never give up. You’ll have your fair trial love. Love you my talented man. I’ll always be there by your side.